Inquiring minds want to know, Dr. Wilson! Going back to a question raised by a previous moderator, Mark Madison, Conservation Historian with the U.S. Fish & Wildlife Service, regarding truth versus fiction: I'd like to know what inspired E.O. Wilson to write his first piece of fiction after publishing over 20 non-fiction works. Dr. Wilson, what is it that motivated you to communicate your passion for the environment in a novel? Do you think conservation concepts can be "mainstreamed" via fictional works that perhaps appeal to a different audience, professor? Is it a good strategy to entertain AND educate? What questions would you like to ask Dr. Wilson? Or, how do you feel about this idea of possibly reaching a different audience via conservation themed fiction? 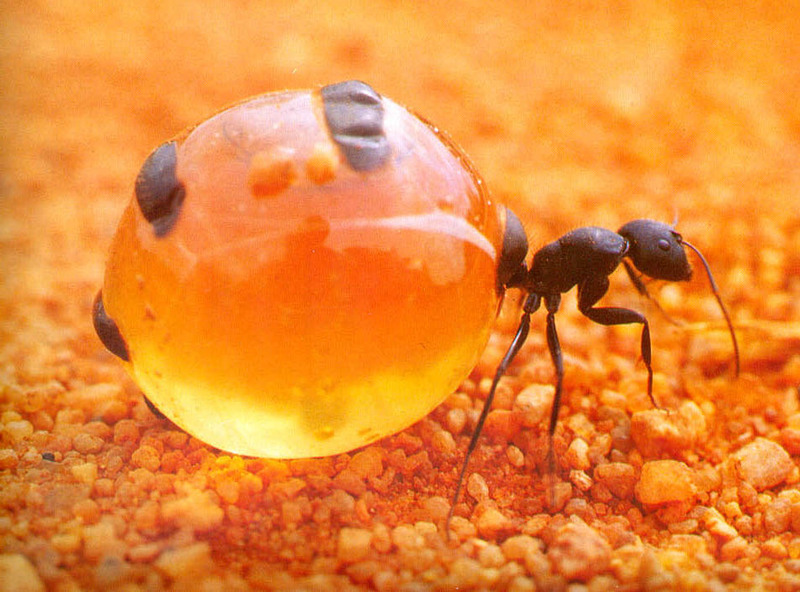 Note: the ant pictured above is a honey pot ant, native to the Southwestern U.S. (not Alabama). I'd like to ask Dr. Wilson if he thinks the concept of biophilia is related at all to Leopold's idea of fostering a relationship with nature via a land ethic! Dr. Wilson, Is there a relationship between the novel's place name, Nokobee, and your organization at the Nokuse Plantation? Does Nokobee have any other meaning? Dr. Wilson's novel and much of his personal interest and advocacy are focused on the south: is that simply because of the obvious personal connections and his knowledge of the area or is the potential loss of biodiversity greater in southern ecosystems? Excellent questions! Thank you for sharing them - we will keep tabs on the questions that come up on this page for future use.